As of January 1, 2016, your spouse’s wrongdoing doesn’t matter. Now there is only one ground for divorce in Illinois: irreconcilable differences. 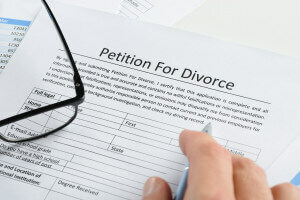 Prior to January 1, 2016, a party could obtain a divorce based on the following behaviors by their spouse: impotence, bigamy, adultery, abandonment, alcohol abuse, drug addiction, attempting the life of the spouse, physical abuse or mental cruelty, a felony conviction, or infection the other spouse with a sexually transmitted disease. Now, under the eyes of the law, a party does not need any other reason to obtain a divorce from their spouse, other than the parties aren’t, and will not, getting along. Similarly, a spouse’s marital misconduct won’t affect either party’s rights to the marital property. On the bright side, removing the fault grounds for divorce saves parties the time, emotional stress, and money often encountered in divorce. The party does not need to recount those feelings and circumstances in order to obtain a divorce.